For five days of the year, thousands of blossoming cherry trees erupt in a chorus of vibrant colors across the rural mountain town of Yoshino, located in the heart of Japan’s Nara Prefecture. For this brief moment, throngs of visitors descend on this tiny enclave as it is engulfed by breathtaking vistas and discover this jewel of a town nestled in the abundant cedar forests. For the rest of the year, the heart of the town lays nearly dormant with just a trickle of visitors. 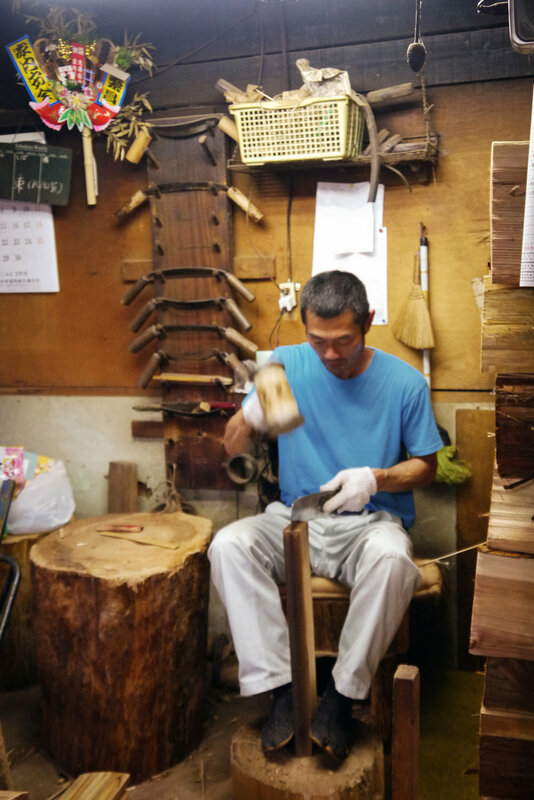 As the onset of modern construction technologies turned its back on traditional craftsmanship and quality materials, towns like Yoshino have lost business after business. The economy was destroyed almost overnight and within a few decades the town lost half the population, most of whom worked in sustainable forestry. More concerning, the town is slowing disappearing as the population is aging, the birth rate is low, and there is an exodus of young people to cities. This trend is not unique to Yoshino, over 700 towns and villages are set to disappear over the next decade. This has created economic uncertainty for local industry and poses a threat to the nation’s cultural heritage. This is a town of villages. Modern-day Yoshino was born in 1945 when the towns of Yoshino-cho and Kamiicho merged with the villages of Chua, Chung Longmen, Kunming and Longmen. The longest serving industry of the town begins deep in the forests that envelope the residents. For four hundred years, thanks to the climate and use of intensive traditional technologies, Yoshino cedar and cypress have been long known as some of the best quality in the country. Surrounded by temples and shrines, the town is also entrenched in the history of Japan. “Yoshino” has been mentioned in the Kojiki, Nihon Shoki, and Manyoshu collections as far back as the 7th century. Emperor Tenmu hid himself in Yoshino before fighting his enemies. The town was also chosen as a second imperial court for Emperor Go-daigo in the 1330s. In 2004, Yoshino, together with Mount Koya and Kumano, was designated a cultural UNESCO World Heritage Site as part of the “Sacred Sites and Pilgrimage Routes in the Kii Mountain Range”. Yoshino in 17th Century - Yoshino Cultural Association, 1986. The surrounding area is just as memorable as the home itself. 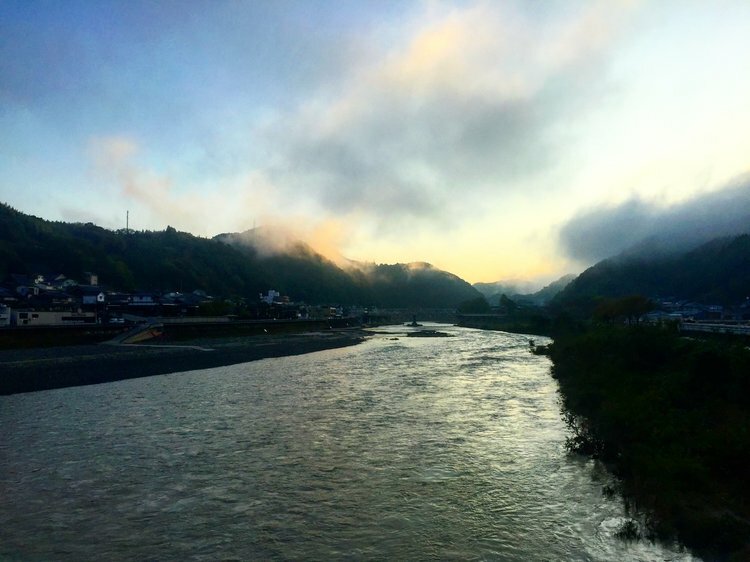 Guests can take part in local activities that help bolster the local economy like learning how to make sushi from river fish, canoeing, practicing nature therapy (yes, yoga with trees), hiking with an 8th generation guardian of the forest (a protector of the forest), and even tasting tours from a small-batch sake distillery or the local soy sauce factory. There are also tours to many lumber companies, including a chopstick factory where you can make your own cedar chopsticks. This secondary spending has a big impact on this small community while providing a deeply authentic experience to all visitors.